What about the felmouth frenzy? If we gain haste breakpoint without food should we use felmouth? Already nerfed on ptr. Instead of 2 charges it will be "cooldown reduced by 2 sec"
Topic: [Transmog] Robe or tunic? Red or blue? 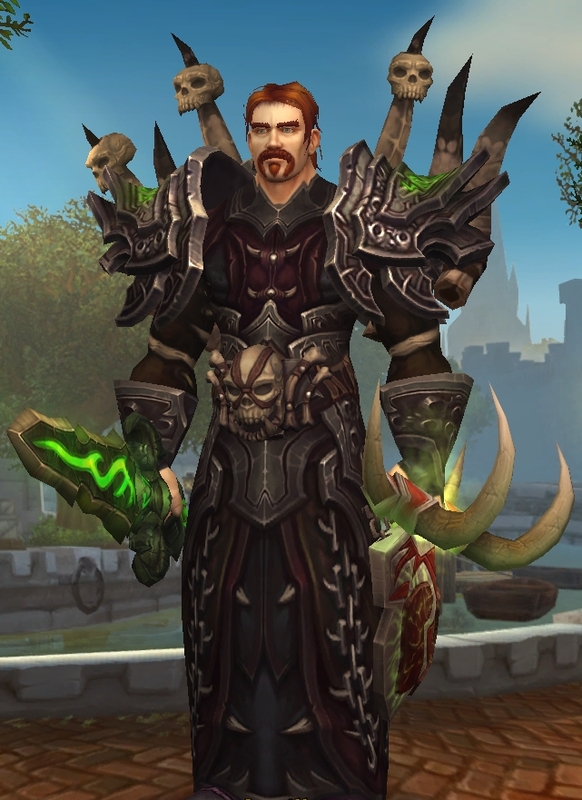 Re: [Transmog] Robe or tunic? Red or blue? Topic: How to display cooldown in minutes:seconds? Re: How to display cooldown in minutes:seconds? If you're using ElvUI or TukUI there's a plugin that allows that, it's downloadable from the tukui site. Otherwise I'm not sure, OmniCC maybe? Only fight I've really found RoP worth using over MI/IF is Mythic Butcher. RoP is quite good on Kargath too, not to mention it can be used pretty effectively on twins if you place them right. Topic: Spore shooters on brackenspore , Which spec to go. Re: Spore shooters on brackenspore , Which spec to go. Arcane is good too you just have to notice when they'll be up and prepare to switch. If you're already at 4 stacks of AC you can burn them quite fast. Also don't know what tactic you use but I always choose one of the ones furthest away from boss as melee usually go for close ones. Not to mention the fact that BRF will already be out by the time 6.1 hits and the trinket itself seems a bit overbudget to me. Don't get me wrong stats are great but not sure if it's worth it. Topic: Is Arcane not worth it in Mythic? Re: Is Arcane not worth it in Mythic? Don't know what tactics you use then or how you play it but arcane is very good for mythic. You just need to get used to it I guess. Using RoP on Kargath is also easy. Only Tectus is an issue. I just go fire, with mastery gear and enchants it's quite good. Why would you precast a frostfire. Without BF proc, FFB doesn't hit harder than a frostbolt and frostbolt can give you procs. And it takes a bit for your MI to start attacking you should pop them just before pull. Topic: What to go for after hotfix. Re: What to go for after hotfix. Yeah I tried Fire on Tectus HC last night did about 28k dps but I've also made a lot of mistakes as I was unfamiliar a bit with the playstyle (got too used to frost). That was in frost gear and enchants. Topic: Pet Macros and Waterjet? Re: Pet Macros and Waterjet? I don't know what issues you had with water jet I just have it keybound on pet bar and doesn't fail. Usually start using it as soon as I start casting frostbolt and by the time that first frostbolt lands Water Jet is active and I get that FoF proc.